In “The Hobbit,” a company of Dwarves tries to reclaim the lost kingdom of Erebor from Smaug the Terrible, a fire-breathing Dragon. While the Dwarves’ quest is fraught with danger, your journey to Erebor is just a click away in “A Journey Through Middle-earth,” the Chrome Experiment released a few weeks ago from Warner Bros. Pictures, New Line Cinema and Metro-Goldwyn-Mayer Pictures (MGM). 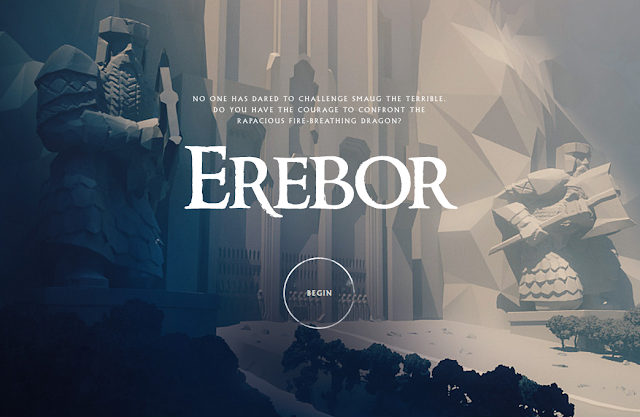 You can now follow the Dwarves’ journey to Erebor and try to outsmart Smaug on your desktop, mobile phone or tablet. But it might be wise to first pay a little visit to the folks who live in nearby Thranduil’s Hall and Lake-town—locations that recently became accessible in this Chrome Experiment—just in case you need their help against the mighty Dragon. And for those of you more interested in web development than Dragon-slaying, check out the second technical case study on “A Journey Through Middle-earth” (the first one is already available on HTML5 Rocks). You can also watch a Hangout with North Kingdom, the team of designers and hackers who built it, on December 18. We'll be posting more updates for the developer community on +Google Chrome Developers. *Available content and promotions vary by country. This entry was posted on Thursday, December 12, 2013 at 6:21 AM and is filed under chrome, google play. You can follow any responses to this entry through the RSS 2.0. You can leave a response. End of US Net Neutrality? In ice and snow, take it slow.